Here we are with another year of Packaged Thoughts! And it's the middle of the year, and Happy Birthday to me! Or well, it would have been if I'd gotten around to posting in on the right day. But we're only a day off, so it doesn't matter. In that particular personal news, my family and I have just recently returned from a short vacay in Dallas, Texas--mainly to visit with my eldest brother, and just because we haven't truly had a full family vacation in a very, very long time. We've had a lot of mini family vacations where at least one or two immediate family members were not present, and I can recall that the last time all six of us were together on a vacation was probably before I started college.... which would have been over ten years ago! That's life for you, I guess. But really, visiting my eldest brother in Texas just doesn't feel completely like a family vacation since he lives there now. Maybe one of these days we can all find time to go somewhere else, like the east coast or the west coast... or a cruise of some sort. Meanwhile, here are all the (two) books I decided would not get their own individual reviews, for one reason or another. I usually plan this post out a couple months in advance, so even though I only collected two books that I wanted to include in this package, I decided to just run with it and get it published. I... don't remember anything about this book. 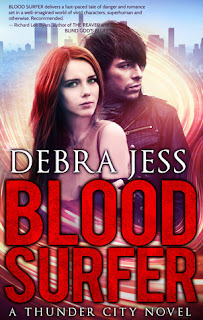 It's a new adult paranormal, urban romance, I think. And it has an interesting concept. Characters with super powers versus characters that are normal human beings. It's kind of like an X-Men thing, but the humans with superpowers have more of a presence. Unfortunately, a lot of the story felt extremely juvenile, even when some of the content could have been quite mature and dark. I enjoyed it, but I can't say that I would come back to this series if it continued. 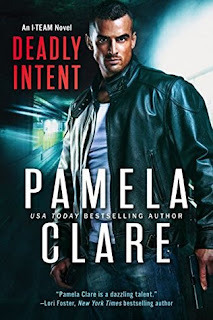 I'm loathe to give a Pamela Clare book a less than average rating because, for the most part, her romantic suspense books have always been intriguing to me. I've loved all of them, and enjoy all the characters in each new installment. So even while I didn't quite enjoy Deadly Intent, I still found it encompassed the typical heart that you find in a Pamela Clare romance. The characters are great. But Pam really DOES paste on the schmaltz in this one, which is disappointing after the previous two I-Team installments were so amazing, with a controlled schmaltz factor. And also... the truth is, Joaquin was never really a favorite side character for me. I was never as excited for a book where he's the main character, because the man always came out too intense and overly dramatic. I could do without. And the new addition to the series, leading lady, Mia Starr... didn't really stand out. When I read that she was ex-military, I was really hoping for some more Holly-like badassery and action... but really didn't get much of that. There was a lot of sitting around and waiting for things to happen, which didn't give this particular installment as much excitement as I would have liked. "You have the most beautiful skin, gorgeous eyes, and lips and cheekbones that make me jealous." Holly gently dabbed concealer on Mia's bruised cheek. "You don't need much makeup. In your case, less is definitely more--unless a bad guy has recently punched you in the face, and then more is more."